Strong-willed children can be a challenge for parents because they have a mind of their own. However, being strong-willed is associated with many good qualities as well, including persistence, determination and confidence. One of your jobs as a parent is to help your strong-willed child use these good qualities to be successful in school. How can you do this? Start in the preschool years by building a positive relationship with your child, setting limits and using consistent consequences when necessary. You can establish a good relationship with your strong-willed child by spending quality time with her: Focus on what your child is doing, describe her behavior (“You are really stacking the blocks high!”) and praise her successes (“You did a great job picking up all your toys!”). A good relationship will go much further toward future academic success than will spending all your time trying to teach elementary academic skills to your strong-willed preschooler. You also need to be clear in your expectations of your child and, when those expectations are not met, have consequences for your child’s behavior. For a preschooler, you need to be very clear, simple and direct in the instructions you issue to your child. For example, “Please come to the dinner table now.” Finally, you need to praise your strong-willed child when he complies with your instructions and follows rules, and use a non-physical consequence like time-out consistently when he fails to comply or follow rules. How can this kind of parenting help your strong-willed child be academically successful? You are laying the foundation for academic success by teaching him how to establish good relationships, how to follow instructions and that his behavior leads to consequences, positive or negative. All of these skills are important for success in school – learning how to relate to teachers and peers, follow classroom rules and complete work assignments in school as well as homework. Establish contact with your strong-willed child’s teacher early and ask for weekly, or if necessary, daily, reports on her progress and behavior. You and the teacher need to be a team working together to ensure your child’s success in school! 2. Set a regular time and place for completing homework. The time should not be immediately after school (everyone needs a break!) or just before bedtime, and the place should be where there are minimum distractions like television. 3. Make sure your child sleeps enough. Grumpy, difficult behavior often results from lack of sleep. Establish a consistent bedtime routine and a consistent time for your strong-willed child to go to bed. Establish regular times for meals, eat together as a family at least once per day and serve nutritious meals. What your child eats and drinks provides him with fuel so he can attend and learn in school, and eating together regularly provides an additional learning opportunity for everyone. Preparing a strong-willed child for academic success is not always an easy task but when you see her using her persistence and determination to succeed, you will know your efforts as a parent paid off! 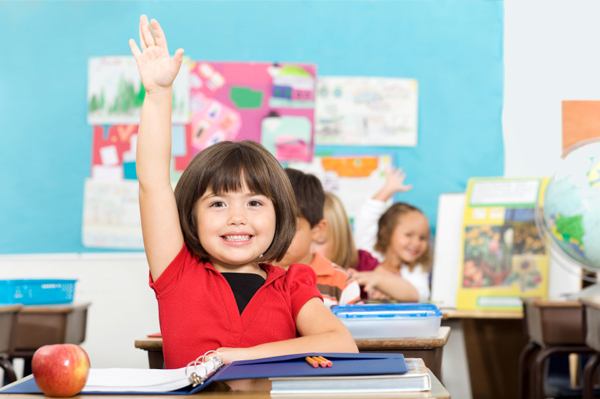 SheKnows TV gives you great tips on how you can help boost your child’s self-esteem!